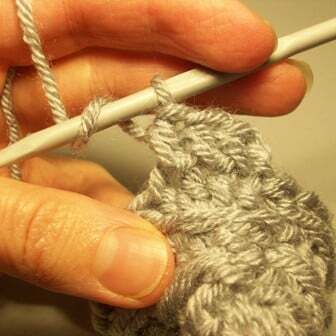 The cross-over long double crochet is made by backtracking behind stitches that are already made. It can be made on the current row or round as well as into one or more rows/rounds below the current row/round. For this tutorial I worked the stitch into the current round. 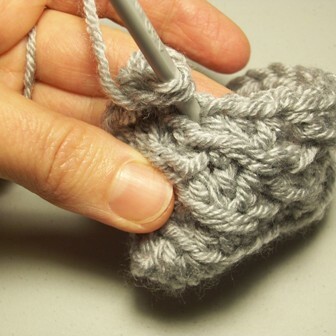 Depending on the pattern designer, this stitch may also be referred to as a cable stitch. 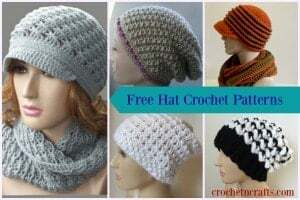 The stitch creates a nice texture on both the front and back sides of the crocheted fabric. It is suitable for making bags and purses, afghans, sweaters, hats, scarves and many other crocheted projects. I have several patterns in the works with this stitch, and will post the links below as I publish them. 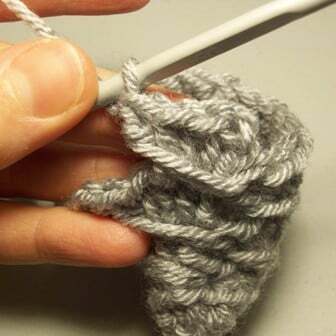 To make the stitch, yarn over and insert the hook from front to back into designated stitch. Yarn over at the back and pull through to the front. You should have three loops on your hook. Yarn over and pull through two loops. Yarn over and pull through last two loops. 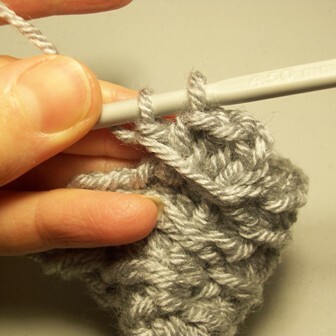 For this crochet stitch tutorial I made a video as well as put together some images to help you along. And here is the image tutorial. 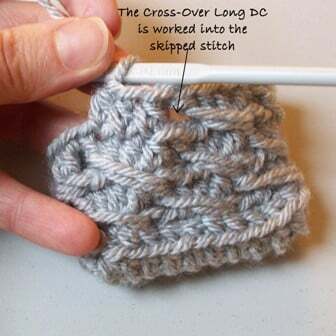 The Cross-Over Long DC is worked into the skipped stitch. OR, Into the last stitch of previous rnd. 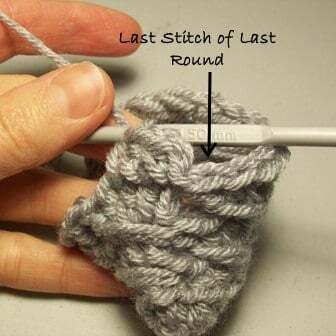 Insert hook into designated stitch and yarn over once more. YO and pull through last two loops. What the base number of chains for this stitch? 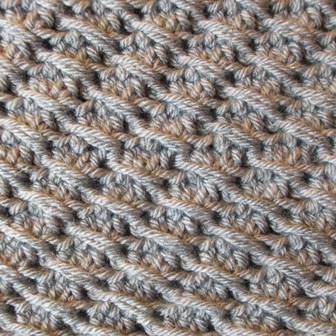 Kara, the stitch pattern is a multiple of 4. 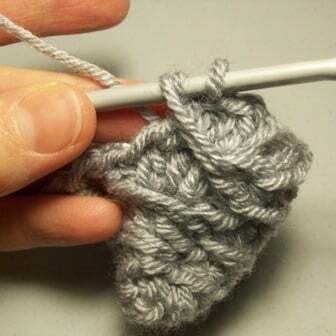 To work it in rows, you would need to have at least 1 extra stitch at the end of each row. So you would chain a multiple of 4 + 2 +1 for the turning chain. Then hdc into 2nd ch from hook, sk next ch, hdc in next 3 chs, cross-over long dc in skipped ch. Let me know if that makes sense or not. Thanks.